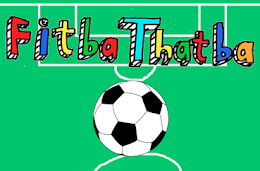 FitbaThatba: Can Tottenham Hotspur Finally Win the Premier League Title? 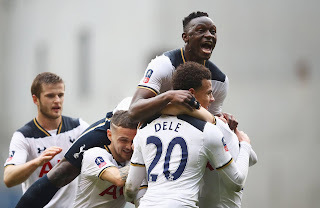 Can Tottenham Hotspur Finally Win the Premier League Title? You have to go all the way back to 1961 for the last time a Tottenham Hotspur side lifted the English title but that could change in the near future. Mauricio Pochettino’s Spurs have been there or thereabouts in each of the last two years and it might be third time lucky if the club are astute in the transfer market this summer. Arsenal fans have revelled in Tottenham’s misery in recent years but Spurs are now arguably much more suited to challenge for the title than their north London rivals. Pochettino’s men finished 11 points clear of the Gunners last season; securing second spot whilst Arsenal failed to qualify for the Champions League for the first time under Arsene Wenger. In Harry Kane, they have the best striker in the Premier League and Spurs supporters will be expecting another huge campaign from the England man. He may be just 23 years old but Kane already has two Golden Boot accolades to his name and the Tottenham star will need to be at his brilliant best for the entire campaign if Pochettino’s men are to compete. The Kane-Dele Alli combination was lethal last season and Tottenham will be right up there with the two Manchester clubs, Chelsea and Liverpool if they continue in the same vein. The England duo linked up on numerous occasions to inspire Spurs to victory and supporters will be hoping that they can improve further this time around. But of course, winning the title isn’t just about scoring goals – it is about preventing them. On paper, Spurs have the best defensive unit in the Premier League and it would take a brave man to back against the north London side if Toby Alderweireld, Danny Rose and Jan Vertonghen stay fit. Spurs fans will want Kyle Walker to stay but Kieran Trippier is more than capable of slotting into the side. Unfortunately, Spurs will have to end their Wembley Stadium hoodoo if they are to stand any chance of winning the Premier League crown next season. Tottenham failed to inspire confidence at the home of English football when playing European fixtures there last season and Pochettino’s side will play all of their games there whilst the White Hart Lane development is ongoing. Winning the opening home fixture of the campaign against Chelsea could spur Tottenham on to push for the English crown. An early victory over the current holders should give Spurs a confidence boost ahead of what could be a memorable season. As of July 11th, the north London outfit are available at 9/1 in bet365’s football betting odds and bettors will be confident that Spurs can do the business. This is Tottenham’s time to shine. You’d find it difficult to recall a Spurs side that boasts so much quality and Pochettino is the man to take the north London outfit back to the top of English football. Arsenal fans, enjoy your mocking while you can – Tottenham are serious contenders this year.